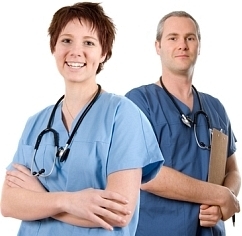 Is St. Augustine school of medical Assistant is better for me for my further studies? We do NOT comment on schools here. It is against our forum policy! If you go to the Better Business Bureau (BBB) website you can search for St. Augustine School for Medical Assistants. Mr. Balasa from the Legal Department of the American Association of Medical Assistants (AAMA) has pointed out on their website that several AAMA members have informed him of misleading advertising fliers from St. Augustine School of Medical Assistants, a self-study online program. Furthermore, if this is self-referred advertising (pretending to be a student just seeking info) be aware that such advertisements will be deleted and the IP number banned. St. Augustine School of Medical Assistants has in the recent past SPAMMED several of my online forums and message boards with their ad and links.